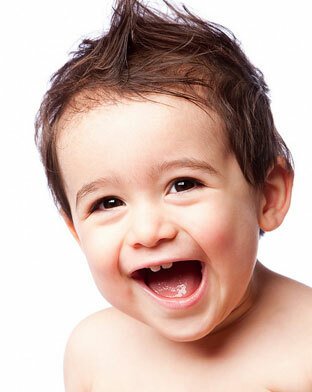 We strongly believe that your child’s first visit to the dentist should be enjoyable. Children are not born with a natural fear of the dentist, but they can fear the unknown. Our office makes a special effort to use pleasant, non-frightening, simple words to describe each treatment. We want you and your child to feel at ease from the moment your family arrives at our office. The more the both of you know about the first visit, the better you will feel. WHY SHOULD MY CHILD VISIT THE DENTIST EVERY 6 MONTHS? The American Academy of Pediatric Dentistry recommends that children visit the dentist by their first birthday or by the time they get their first tooth. It is important for children to learn proper hygiene habits right from the beginning. The doctor will proactively monitor for congenitally missing teeth, crowding, or spacing concerns. We will answer any questions you, the caregiver, may have about keeping your son or daughter’s teeth healthy. Getting to know your teeth is fun! Call us to help prepare your child for his or her first visit. We can let you know the details on what to expect and what words to use so your child is well prepared! HOW ELSE CAN I HELP PREVENT CAVITIES FOR MY CHILD? Fluoride – We recommend fluoride treatments twice a year along with cleanings to keep teeth strong. Tooth sealants – “Seal” the deep grooves in your child’s teeth to prevent decay from forming in these hard-to-reach areas.